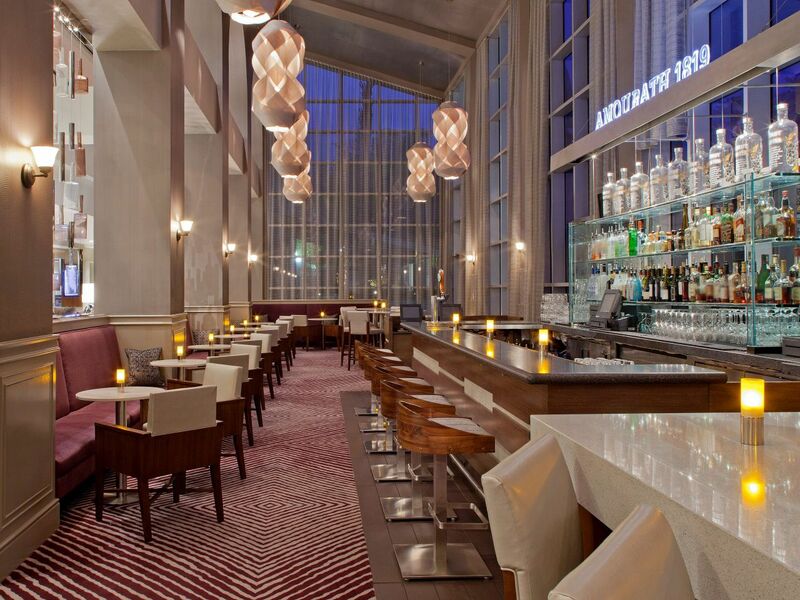 Home to some of the best restaurants and bars in downtown Sacramento, Hyatt Regency Sacramento offers regionally influenced dining at its finest. Indulge in a classic American breakfast buffet or lunch on seasonal selections at our casual cafe with al fresco dining. Settle in for farm-to-fork fare and succulent steaks and seafood at our award-winning steakhouse. Meet for drinks and Northern California wines in our stylish lounge with an outdoor patio. 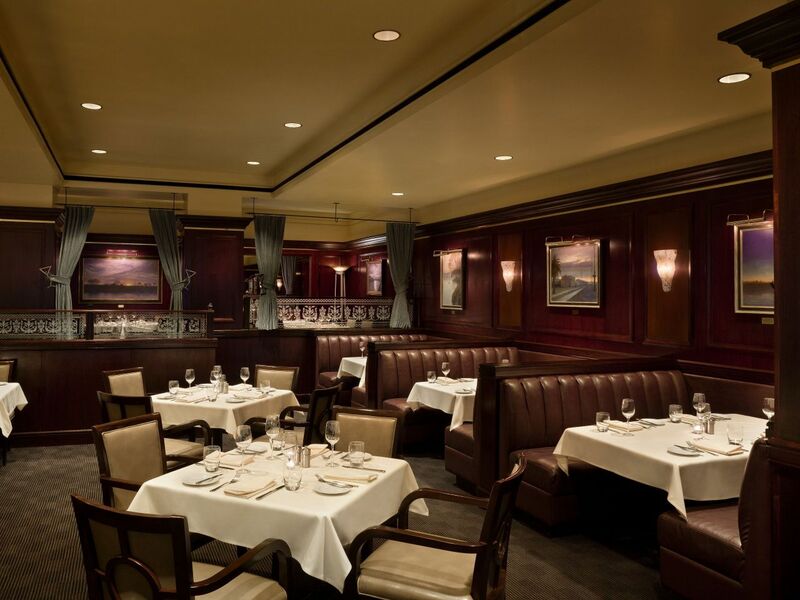 Gather for signature steak and seafood dishes at this AAA Four-Diamond award-winning steakhouse. Featuring fresh local ingredients and an upscale ambience reminiscent of classic old-world steakhouses, our menus pair exceptionally with an award-winning wine list that includes Northern California labels. 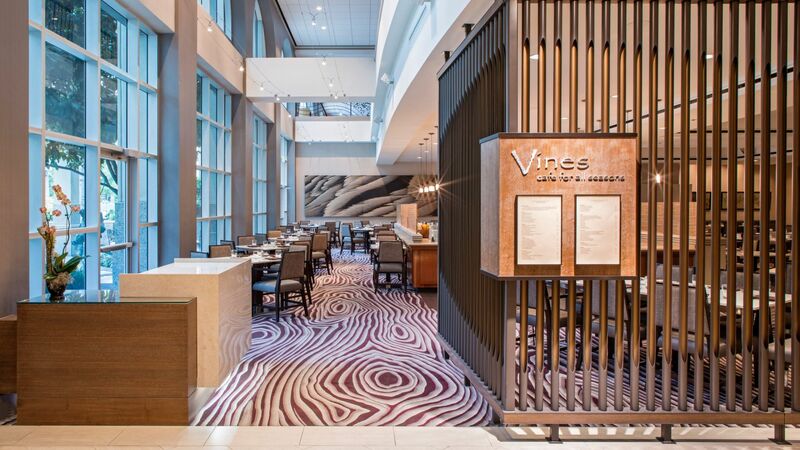 Saturday and Sunday, 5:00–10:00 p.m.
Offering traditional American fare with inventive twists and fresh ingredients sourced in Northern California, Vines serves decadent breakfast and lunch buffets with specialty al a carte menus. 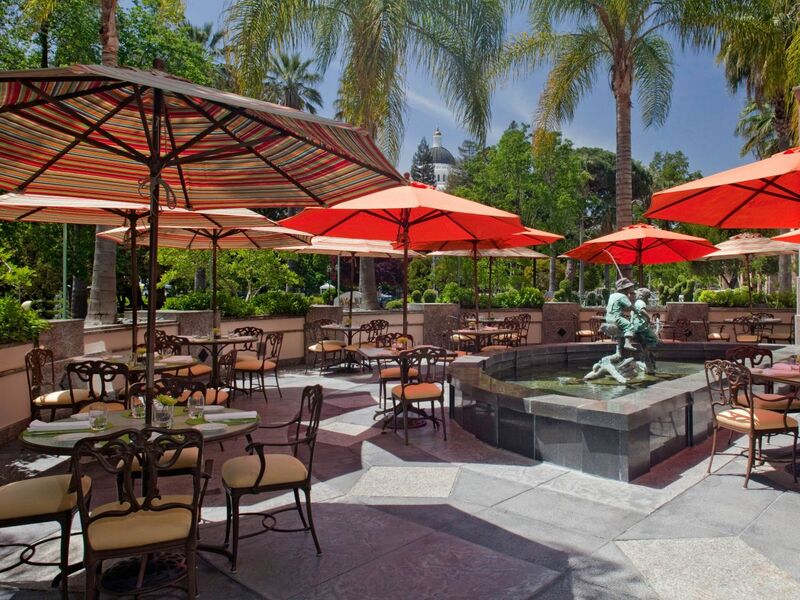 Enjoy seasonal soups and daily specialty flatbreads while dining on the palm-tree lined patio featuring views of the California State Capitol and Park. Sunday - 6:30a.m. - 2:00p.m. Featuring an elegant ambience with soaring ceilings and an outdoor patio with lounge seating and cozy fireplaces, our signature bar serves handcrafted cocktails and spirits. Amourath 1819 boasts an impressive menu highlighting Northern California breweries and wineries. Be sure to check out our weekday Happy Hour. Saturday and Sunday, 11:00 a.m.–11:45 p.m.
Capitol Happy Hour: Monday–Friday, 3:00–6:00 p.m. Grab your favorite coffee drinks to go or settle in for unique pastries and handcrafted sandwiches featuring simple, high-quality ingredients. 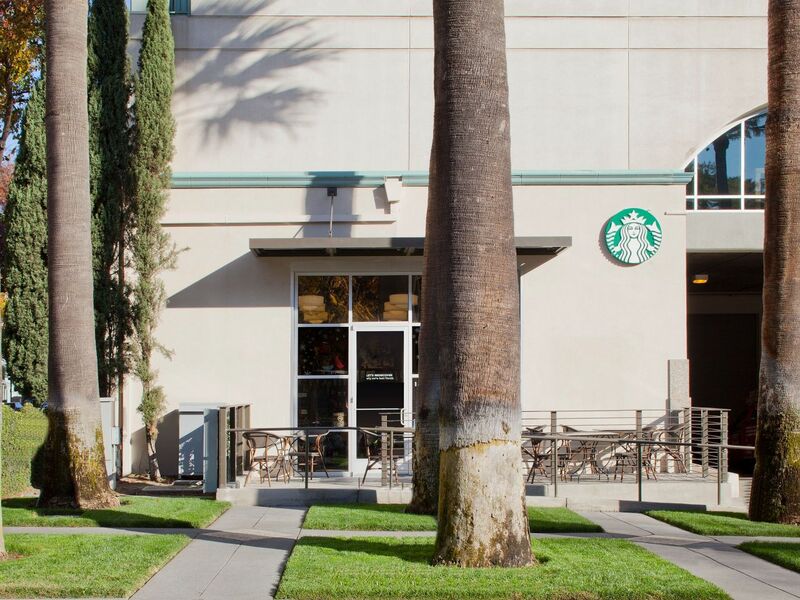 Our cozy coffee shop features outdoor seating in a park setting with views of the Capitol. Daily - 5:00a.m. – 6:00p.m.